Our World War II members are dedicated to the preservation of the history of the Second World War. 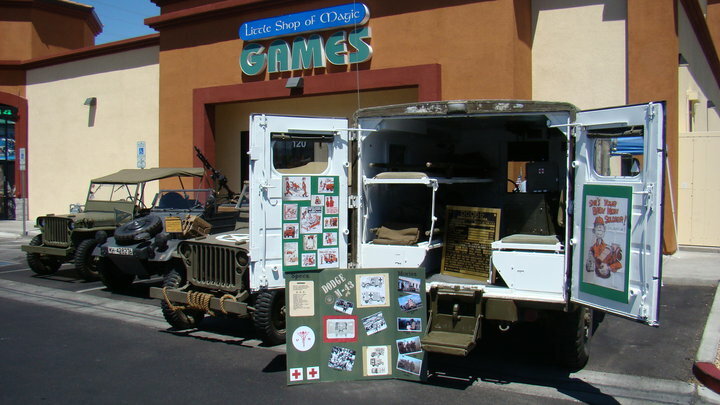 We provide local public and educational displays in Las Vegas, and participate with other World War 2 groups across the Southwest United States. As Living Historians (Reenactors), we do NOT espouse any "first person historical" or "modern political" views during our programs. If they are discussed, it is to the same degree as a public school history class. As such we do not accept members, work with groups; and so forth, who have alternate agendas --- Racism, Fascism, Neo-Naziism, Communisim, Militias, etc. 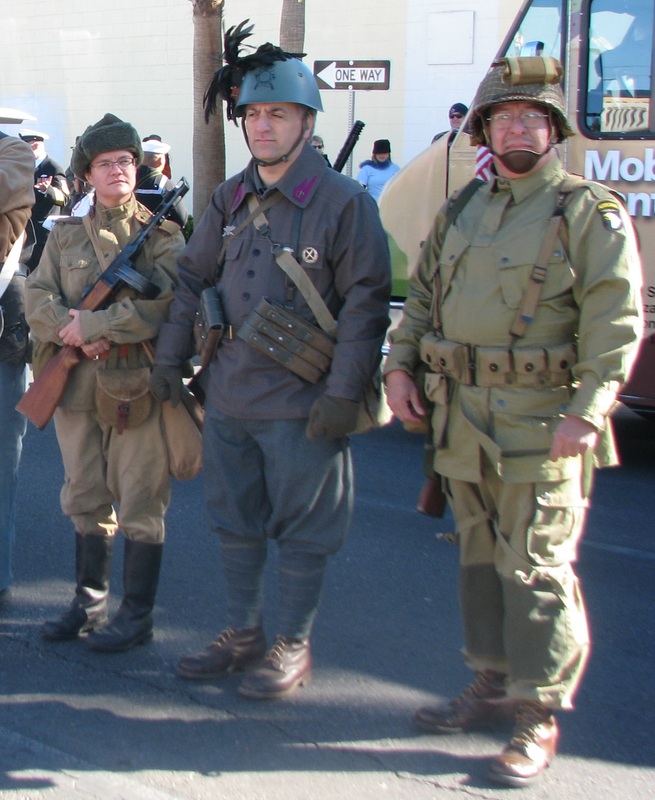 We do also attend events around the southwest, and when we are in California, we fall in with units belonging to the California Historical Group (CHG). This helps us to be able to improve the authenticity of our own impressions locally. Please contact us for additional details on which American, German, Italian, and Russian unit(s) our members are associated with in other Organizations before you select one. We try to keep together as much as possible to share in event expenses, but also to be more uniform at home. Our membership is comprise all walks of life with an interest in the Second World War to personally experience the challenge and reward of re-enacting. 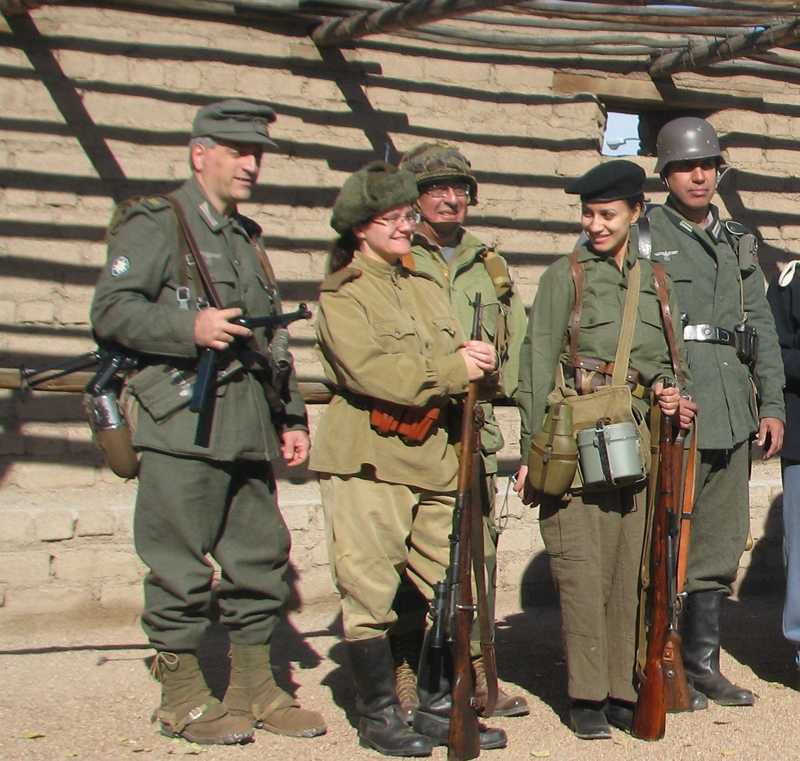 Immersing oneself in an authentic recreation of period battle tactics, uniforms, field camps, customs and rich military traditions give members a fuller appreciation of what life was like as soldiers facing a stubborn and determined enemy in a grim struggle beyond their control. While we welcome members with vehicles, they are not required. 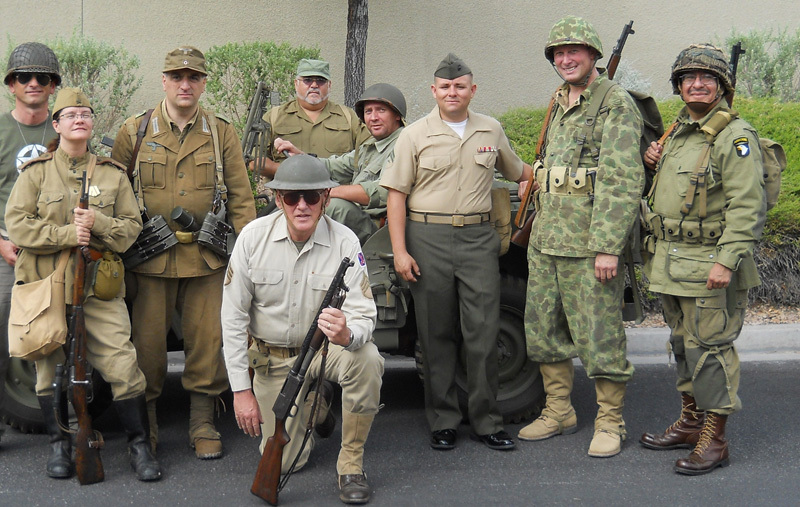 We also work with the local Military Vehicle Collectors Club, and can put you in contact with them if that is your preferance. Ultimately our members are required to purchase their own equipment - but we will do our best to help you try the hobby once before you invest in it. At the end of the day, Axis or Allied, we work together as one group to preserve the memory of the War - and provide hands on access to items from the war in an effort to make it more relateable. Please come out and join us for one of our events!